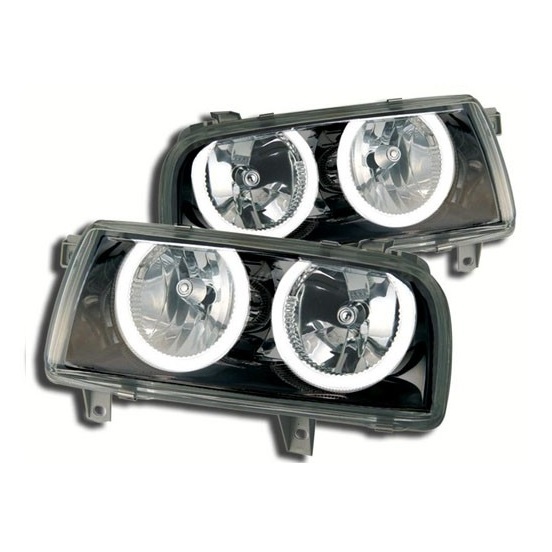 "Meanlook" headlights for your MK3 Jetta incorporate angel eye city lights that can be wired as a city light and function independently of your low and high beams. Adapter brackets and wiring harness are not included. These products are sold separately and linked at the bottom of this description. SOLD IN PAIRS. Bulbs can be found in our webstore, HERE. Wiring harnesses shown in inset images is NOT included and must be purchased separately! Jettas use a single chamber harness, found HERE. E-Code Adapter Brackets, found HERE.